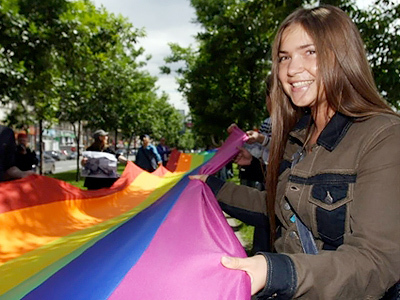 Russian LGBT activists claim they have been granted permission from Moscow city government to hold a gay pride parade. There has been no official confirmation that the event has been approved. 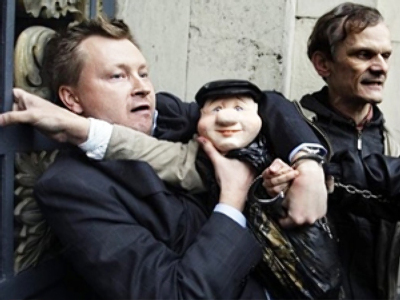 The parade will be held on May 28, Nikolay Alekseev, a well-known gay rights activist, said in a statement on Tuesday. The event is expected to attract up to 500 people and is aimed at raising public awareness about the gay community and prominent homosexual historical figures. According to Alekseev, Moscow’s government gave the green light to the LGBT event after the European Court for Human Rights ruled that continued obstruction of gay pride actions in Moscow was discriminatory. “Now the authorities must provide due security for the participants of the future event in accordance with the European Court’s ruling. We are prepared to cooperate with the capital’s authorities and law enforcement bodies over the action,” the activist said as cited by Interfax news agency. Russian gay rights activists have been applying for permission to hold a parade in Moscow for several years without success. Former mayor Yury Luzhkov was an outspoken critic of gay marches, branding them on one occasion “satanic”. 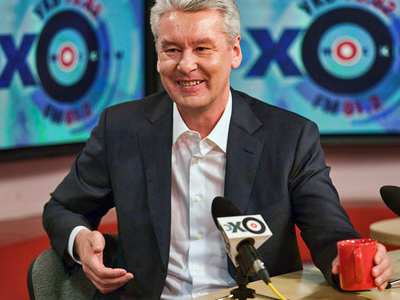 With Luzhkov replaced by Sergey Sobyanin, the LGBT community said they hoped for change. However the new mayor said he deemed such events in the capital “unnecessary”. The authorities of the central area of Moscow, where the parade would take place, said they have received no application for such an event. An unnamed source in the regional security department said permission for a gay pride parade is unlikely to be given “even under the guise of a cultural event”. Life News tabloid cites its sources as saying that the permission for the rally, which Alekseev refers to, came from the Moscow government’s cultural department. It still requires consent from other relevant departments to come into effect. May 28 is the professional holiday of the Russian border guards, who traditionally celebrate it with marches. With homophobic sentiment strong among the military, having a gay parade on the same day seems like a recipe for trouble. Alekseev says he sees no problem with it and relies on the authorities to protect gay activists.